Tampa Bay Rowdies Soccer - Rowdies vs. Hartford Athletic, 7:30 p.m. 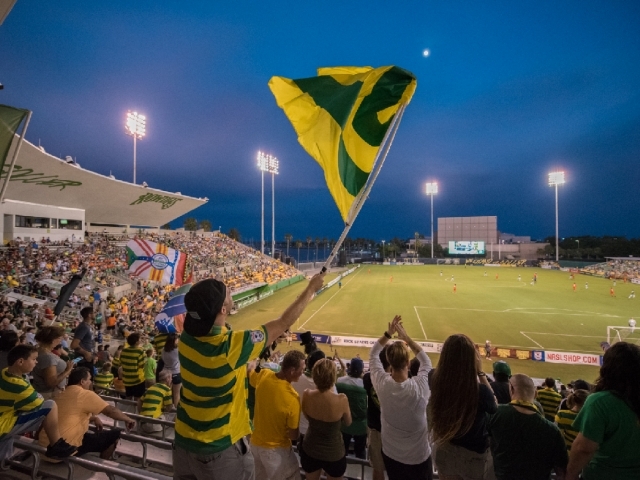 Kick it at Al Lang Stadium and cheer on the Tampa Bay Rowdies! Experience the electrifying home games with stands packed with fans cheering the team on with age old songs and chants, top notch concessions, and an outdoor stadium situated right on the waterfront of downtown St. Pete. Gates open 60 minutes prior to kickoff.